Some gemstone varieties -- such as ruby, sapphire, emerald, tsavorite and demantoid garnet, tanzanite, spinel and alexandrite -- command a premium price in the market, due to their superior gemstone characteristics and rarity. Other varieties, such as many types of quartz, are abundant and prices are much lower. But while the gem variety sets a general price range for a stone, the characteristics of the specific gemstone also have a major effect on the price per carat. Low quality sapphire can be quite inexpensive, while high quality amethyst can be pricey. In the world of colored gemstones it is color that is the single most important determinant of value. Ideal colors vary by gem variety, but generally the colors that are most highly valued are intense, vivid and pure. Gems that are too light or too dark are usually less desirable than those of medium tone. Thus a rich cornflower blue color in sapphire is more valuable than an inky blue-black or a pale blue. 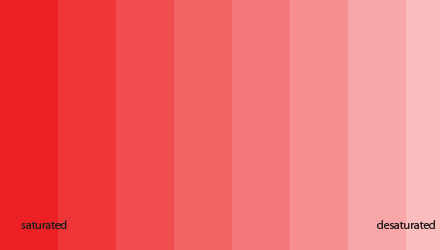 The purity or color saturation is less easy to understand, but no less important. If a pink spinel, for example, has a grey or brown mask, it will be less valuable than a pure intense pink. This is why the rare neon pink-red Mahenge spinels and mandarin garnets are so valuable. A natural gemstone that is perfectly clean, with no visible inclusions, will be priced higher. In general, the cleaner the stone, the better it's brilliance. So while it is true that the higher the clarity grade, the higher the value of the gem, inclusions that don't interfere with the brilliance and sparkle of a gem will not affect its value significantly. Note also that different gem varieties have different clarity standards. Some gems, such as emerald, always have inclusions. However, one should avoid gems with surface-reaching cracks that could affect the durability of the stone. Note that some non-transparent gems cut as cabochons, such as chrysoprase and gem silica, will carry a premium price if the material has excellent translucency and a luminous glow. Gemstones should be cut with proper proportions to maximize the light that is returned to the eye. But gem cutters or lapidaries often have to make compromises when cutting a particular piece of material. If the gem color is quite light, cutting a deeper stone will provide a richer color. Conversely, a dark color can be lightened by making a shallower cut. But in every case, the facets should meet cleanly and the surface should be well polished with no scratches. For some gemstone varieties, such as quartz, the price per carat is fairly constant as the weight of the stone increases. But in the case of many rarer gems, price increases in a non-linear way as the weight increases. Indeed for some gems, such as diamonds, ruby and sapphire, the price per carat can increase exponentially as the carat size increases. According to this formula, a 1 carat stone may cost $1,000 while a 2 carat stone may cost $4,000. Though the formula is rarely so exact, good quality sapphires and rubies in larger sizes do tend to have a much higher per carat price. Not only are larger stones more expensive, but gems cut in stock sizes -- what are known in the trade as calibrated sizes -- also tend to be more expensive. This is because more material has to be removed to produce the calibrated size. Gem treatments such as heating, fracture-filling, irradation and diffusion significantly improve the appearance of many gemstones, and these treatments are now routine for many commercial-grade stones. A treated stone is always less expensive than an untreated stone of equivalent color and clarity. But most of the stones that are routinely treated -- such as ruby and sapphire -- are now very rare in untreated form, and the untreated stones fetch a market price out of the reach of most consumers. If you prefer to buy an untreated stone, you do have many choices. A number of popular gems, such as tourmaline, spinel, amethyst and garnet are almost never treated. Some shapes tend to be priced higher than others, in part because of demand and in part because of material issues in cutting the specific shape. In general, round gems tend to command a premium in the market. Rounds are much less common than ovals, since ovals are usually cut to preserve as much weight of the raw material as possible. Cutting a round gem normally requires a greater loss of the rough stone, and for very expensive materials like sapphire, ruby, alexandrite and others, this can have a significant effect on price. Strictly speaking, a fine natural gem is a fine gem, regardless of its country or region of origin. The reality of the market is that certain gem varieties from locations such as Burma, Kashmir, Sri Lanka and Brazil, command a premium price in the market. It is difficult to say whether this premium is justified, especially with so many fine gems coming from Africa. 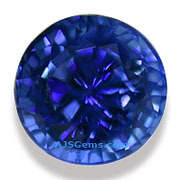 Some gems, such as blue sapphire, are always in fashion. But some gems become fashionable for short periods, with resulting price increases and declines. Recently we've seen short term fads in andesine labradorite and diaspore. Some very fine gems, such as natural spinel, have actually been underpriced in the market because limited supply means that the gems are not promoted heavily. The gem trade is a business and everyone in the supply chain, from the mine to the jewelry retailer, is trying to turn a profit. Gemstones can pass through many hands on the way from the mine to the consumer, and the more brokers and distributors that handle the product, the higher the final price will be. So in fact the same gemstone may carry a price that varies by as much as 200%, depending on who you buy it from.